This week I have a rather long video for you where I answer your reader questions. So make a cup of tea, pull up a chair and let's have a chat together! Lizzy Loves Health asks for advice on what to do when you realize your style has dramatically changed. Anna C. asks about dressing chic in cold weather. As a recent graduate, Sarine asks for advice on how to deal with the often frustrating job search. Lisa from Germany asks about chic house shoes and snacking with regard to children. My slippers from Bed Bath & Beyond: These slippers are so cozy and stay on my feet. They aren't terribly fashionable but I don't mind how they look when I wear them at home. Madame Chic did not wear slippers during the day. She wore her regular shoes, but at night she changed into slippers when she wore her pajamas and dressing gown. Bringing Up Bebe by Pamela Druckerman has wonderful advice on children and snacking. Terigigi gives a glowing review of Polish Your Poise with Madame Chic on her YouTube channel. Lucia from Dysfunctional Scrapbooking just adored Polish Your Poise with Madame Chic. Read her advance review here. If you've been thinking about picking up an old hobby that you loved, this is the week to do it! Even if you are busy, try to find some time to rekindle an old love, like playing an instrument, writing that novel or learning a new language. You will love the feeling it gives you. I have a little "hobby" of mine that I recently abandoned - and it was inspired by you in the first place. I began teaching myself french last year! I always wished I could speak french and begged for lessons when I was a little girl, but I was never given the opportunity. After being inspired by many of your videos and your books, I downloaded a few apps, began watching children's television shows in French, and e-mailed a friend who lives in France to practice. I was doing fairly well, but due to some life changes I stopped all together. After this video and your recent messages of refusing to be dumbed down, I have returned to my lessons! 15 minutes a day is all it takes for me to achieve something I've always dreamed of. Merci beaucoup, Jennifer! A bientôt! I loved reading what you are inspired to take up again after watching my performance of Alla Turca. Christine, your comment was one of many that I found to be encouraging. Thank you and have fun with your French lessons. Many people asked about the nail polish I am wearing in my latest hair tutorial for the double-wrapped ponytail. It is Revlon number 620 in "bewitching". This is an old color so I am not sure if it is still carried. I will see you next week for the reveal of my Fall/ Winter Ten-Item Wardrobe. **Some email subscribers are not receiving the embedded video in their email. I am not sure how to amend this problem. If any of you technically savvy readers have advice on how I can fix this problem, please let me know. Thank you! Before we begin this week's post I'd like to thank you for your enthusiastic response to my piano performance for you! I am so happy you enjoyed it! And even better, many of you said you felt like playing the piano again (which was my goal all along). To keep me on my toes, I aim to give you a few piano performances each season. You inspire me to keep my skills sharp. Another promised video is being shared this week: my tutorial for the double-wrapped ponytail. This is a great bad-hair-day fix or for when you'd like to keep your hair out of your face but are tired of the standard ponytail. It's a very elegant look and so easy to accomplish. This look works best on medium to long hair. You will need a hair brush, a handful of bobby pins, a hair tie and hair spray (optional). Brush your hair until smooth. Gather the sections of hair on either side of your face and allow them to meet at the back of your head. Twist the left side over the right side. Push up to create volume at the crown. Pin in place. You can leave your hairstyle like this or you can tie the rest of your hair into a low ponytail. Take a small section of hair from underneath the ponytail and wrap it around the elastic to conceal it. Pin in place. 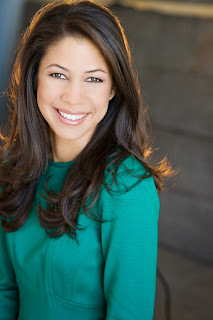 Practice a few hairstyles that you can refer to when you are in a rush or are having a bad hair day. This will keep your morning beauty routine quick and you will still look presentable always. Thank you! I am so happy you are encouraged to dress well, even though you work from home. Thank you to Daily Connoisseur reader, Ann G. Rusky, who painted this picture of Gatsby for me. I love it Ann. You are so talented and you captured him well. 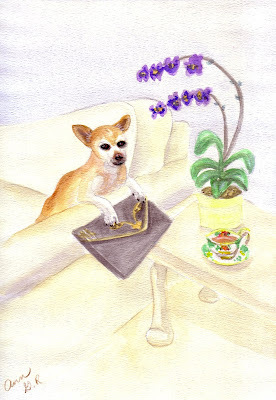 Check out Ann's fabulous art blog here. The video is set to Air from Suite No. 3 in D Major by Bach. This summer I asked if you'd like me to play Mozart's Alla Turca for you and you gave a resounding yes! I worked on it over my summer break and today I perform it for you. It's not perfect. In fact, it's a little clumsy, but that is not the point. The point is that it's a great thing to challenge and push yourself. To cultivate your mind and not only seek out the arts but create them yourself. To pick up a worthwhile hobby. This keeps us our minds sharp. It gives us achievable goals and a sense of accomplishment. We better society by bettering and pushing ourselves. Now without further ado, here is my performance of Mozart's Alla Turca. If you feel inspired to share your art via YouTube or blog post be sure to let me know! Use the hashtag #MADAMECHIC #seekoutthearts Let's encourage each other to raise our standards and challenge ourselves. You have little time to read all the letters you receive. I understand as a pediatrician your time is limited and valuable. Quickly, your books and blog have me dressing tastefully for my job rather than wearing scrubs. Thank you (say my patients). Your recent post hit home to me and I must write even if you don't read. I have played piano since very young also, so glad that in college I FINALLY didn't have to take lessons. I have not lifted much of a finger since until now. At 38 I'm realizing (maybe as you) what a special thing this is that I can do... that is a secret and maybe unattainable to most that know me. My grandmother played beautifully; my mother missed the trait. She poignantly says I play like "Tine" (christine) even though I never saw her play (she was paralyzed with Lou Gehrig's dz). 6 months ago I splurged on a used Steinway upright and once delivered, sat down with it and cried at the sound that I had forgotten I could make. I grew up learning Chopin, Bach, and the classics only (which I love). Right now I have pulled 'Laura' from a stack of Tine's favorite movie/show tunes, which happens to be how my name was chosen. Learning the tune- so, thanks for your inspiration and Aspiration to be better than is required. Laura, I loved your message to me. Thank you! Your grandmother would be very proud of you. I have a great book to recommend that exposes the reader to great composers and their influence. It's called "THE GIFT OF MUSIC" by Smith and Carlson. Very readable. Enjoy. Thank you, Celia, for your recommendation! Last spring I did a video called, Refuse to Be Dumbed Down. What a response that received and is still receiving! This week I am giving you active tips and a challenge on how you can avoid being dumbed down by our modern culture. You loved playing the piano as a child, but haven't played in years. You used to paint before the kids were born but haven't picked up a paintbrush in ages. You had ambitions to write a novel when you were in your early 20s but never got past chapter 3. Do you relate to any of these? Many people long to pick up an old skill or passion again but discourage themselves by saying they are "no good" or have "lost what it takes". This week I'd like to challenge you to pick up an old skill and begin to hone it again. This takes discipline. It takes time and it also is a wonderful antidote to being dumbed down. I used to play the piano as a child. I stopped playing during my college years and early to mid-twenties. I never thought I was very good. I would play occasionally. Recently I have committed to seriously taking the piano up again. During my summer break I took a piece of challenging music (challenging for me! ), Mozart's Alla Turca. I worked on it every day for at least twenty minutes. I have committed to learning it. Be sure to stay tuned for a bonus video later this week where I play Alla Turca for you! If you don't have a long-lost skill, commit to learning a new one. Is there something you have always wanted to do? Now is the time! When I was in my late twenties I am so happy I decided to take a writing class. 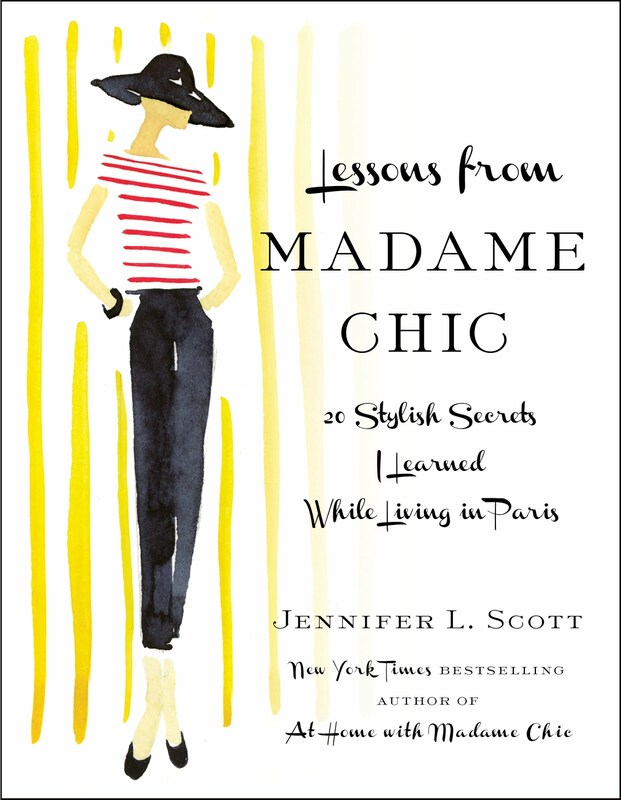 If I never pushed myself to take that class, I might never have written Lessons from Madame Chic. I probably wouldn't even have this blog! We often say we "don't have time" to do these things, yet we somehow find time to watch a reality TV marathon or read a gossip magazine. It's a great idea to analyze how you spend your downtime and see where you can make changes. There is nothing wrong with mindless entertainment or guilty pleasures, but we should be conscious that that is not the only way we entertain ourselves. Avoid being dumbed down by choosing an enriching activity during your downtime. As a side note, I actually find playing the piano during my down time quite soothing! This week I would love to know... Do you agree or disagree that today's culture is being dumbed down? What is a long-lost skill or new passion you'd like to cultivate? Let me know in the comment section and you could be picked as the comment of the week! I will be speaking and signing copies of my new book on Thursday, October 29th at Pages Bookstore, in Manhattan Beach, CA at 7pm. Details to follow. 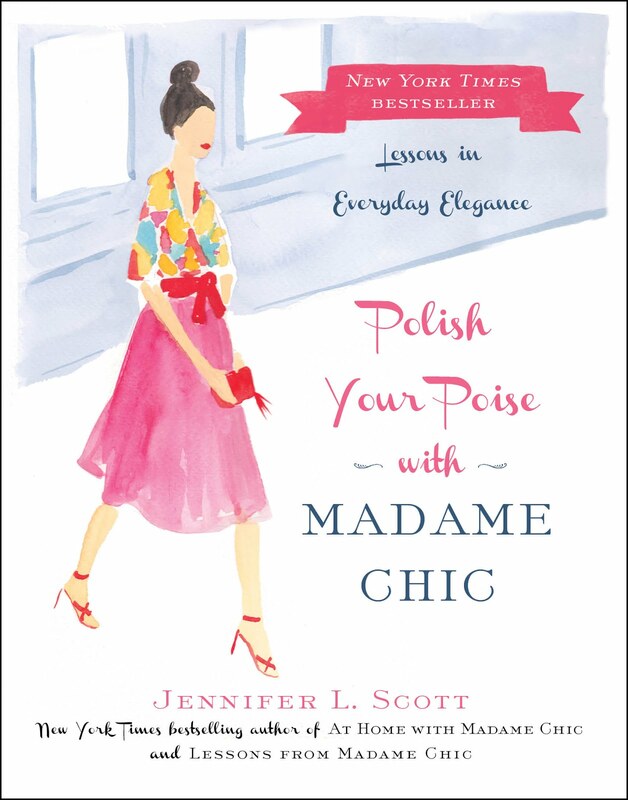 Thank you to Melissa55 who has read an advance copy of Polish Your Poise in Madame Chic. She recommends it in her August favorites! Cultivate your mind, seek out the arts or work on a skill this week! Share what you are doing on social media using the hashtag #MADAMECHIC so we can encourage each other and refuse to be dumbed down. I love this!!!!! I'm learning the violin as a 30-something. I practice ballet videos on YouTube for exercise, and I try to write poetry. I'm not "good" at any of them, but these pursuits feed me somehow. We homeschool, and we often have classical music playing in the background during certain subjects, and we've watched many classical ballets on YouTube. I adore your "culture minute" with your family! Erica, I love that you are learning the violin in your 30s! That's the spirit! Jeanne D This is the first time I have heard of you or watched you, but I was delighted with your comments today. My mother had a rule that whenever I left the house, I had to look as good as I could for whatever I was going to do. I was never allowed to leave the house in curlers (this was in the 1950's). She died in 1964 and the 3 times I left the house in curlers (in the mid-1960's) I ran into someone I had not seen in years and felt so foolish. Needless to say, I did not do that again. That advice has served me well all my life as people always comment on how nice I look, or 'you always look great'. It wasn't long in the early years before I realized how much my daily mood was impacted by how I looked--so following this 'rule' has been one of the nicest things I have done for myself. It is such a treat to see someone in your generation feeling this way---and doing something about it!! Kudos to you!! Thank you, Jeanne, for your lovely comment. As you know, nearly every comment I get can be the comment of the week. Please keep them coming as I know that others enjoy reading them too. Also, your comment could be featured on the blog! Please note, if you have submitted a question to me, look for it to be answered in a future "reader questions answered" video. I am doing more ten-item wardrobe videos focusing on the process because I want to provide them as a companion piece for all of you who are doing the ten-item wardrobe for yourself at home. Today I am recapping the wardrobe for spring/summer 2015. I discuss which pieces will stay and which pieces will go, my reasons behind why a piece did or did not work, etc. I hope that you find this helpful and that you feel compelled to go through your core pieces and give them the same thought and attention. One of the many reasons why I love the ten-item wardrobe is it requires me to be thoughtful about my clothing. Nothing is shoved into the closet as an afterthought. If a garment is going to take up valuable real estate in my closet, it needs to belong there. At the end of each season, and before making choices for the next season, it's a great idea to literally go through each piece you have and decide if it is staying for next year or being donated. You can learn so much from these decisions and every choice you make helps refine your true style even further. If a piece is going because it is finally worn out from years of use and you loved it, you can make a note to buy something similar next time. If a piece is not returning because it shrunk or was uncomfortable, you can make a note to purchase a bigger size next time, or to avoid that particular style or brand all together. If a piece is going because you never wore it, most likely it's not your true style or it doesn't fit in your lifestyle. You can learn from all of these things. For the spring/ summer pieces that are staying, store them nicely until next year when you bring them out again. This all depends on what kind of storage space you have. Make sure you wash, press and fold them nicely. You can keep them in a drawer or cloth basket until next year (this is generally what I do), or you can store them in space bags under a bed. Or you can hang them in the guest closet. Or you can hang them in one section of your own closet. The important thing is to separate the out-of-season clothes so you don't create clutter and confusion for the upcoming season. Allow yourself to enjoy this process! It should not be stressful. It should be fun and exciting. Just look at every "mistake" you made as you getting closer and closer to your true style. Please let me know in the comment section, how your ten-item wardrobe process is coming along. Your question or comment could be featured on the blog! For my original ten-item wardrobe blogpost with pictures or each garment, click here. Devote an hour this week to going through your wardrobe and preparing for the seasonal change. Approach your wardrobe analysis in a methodical way. The consciousness you bring to planning your wardrobe will benefit you in ways too numerous to count. Earlier in my motherhood journey I realized that I rarely put my makeup on and wore my nicer clothes for regular days, but if I was going anywhere I would get dolled up. What kind of a message was I sending to my children? You don't get my best? You're not special enough to see me in makeup and earrings? So now I give my children and husband my very best every day, and the general public gets the fringe benefits. 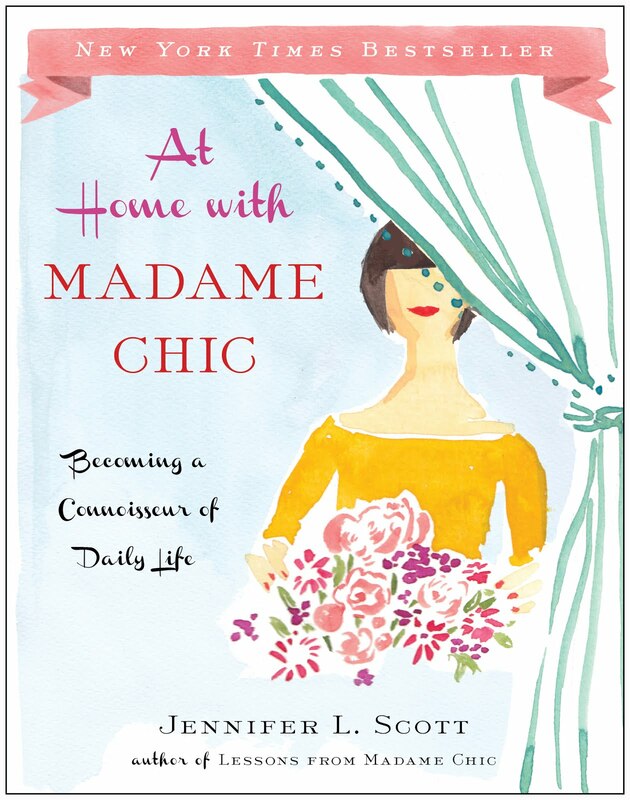 Daily Connoisseur reader, Nancy L, has written a series of blog posts on ladylike behavior. She shares lovely advice here and I wanted to share it with you! Visit her beautiful blog, A Lady's Code. Do you have an artistic recommendation for us? Let me know and your recommendation could be featured on The Daily Connoisseur!